In yesteryear, the most horrible legal news you might receive was a complaint for divorce. But today, when almost half of marriages end in divorce, the winner of the nightmare notice award is likely to be an eviction notice. This is especially true if you live in one of the tight, rental-market urban areas like San Francisco or New York, where apartments are hard to find for love or money, and "market-rate" means sky-high to normal people. But it's always best to look in the face of the beast and understand it rather than closing your eyes. What is an eviction? Why do evictions occur and how do they work? How can you cancel an eviction process? Read on for the answers you need. Eviction may sound like a dirty word to a renter, but it actually refers to the legal process a landlord must use to get a tenant to move out of a house or apartment. You may have seen awful scenes on television shows, with landlords changing the locks or dumping a tenant's property on the street. But the truth is that every legal eviction must go through the courts in most states. Landlords might dream of laws that allow them to simply toss an unruly tenant out of the apartment. But all states have laws setting out procedures to protect a tenant from landlord self-help remedies. Typically, landlords must give the tenant notice, wait for the time requirement to pass, then file an unlawful detainer action in court. Why do landlords decide to take legal action to get tenants out? Many evictions occur because a tenant fails to pay the contracted rent, but that is very far from the sole reason. Often the applicable laws define the range of possible reasons for evictions. For example, in some states, a landlord can evict a tenant for no reason at all. In other states, a landlord can begin eviction proceedings for any violation of the state occupancy laws or a breach of the written rental or lease contract between the landlord and the tenant. State laws and municipal laws vary enormously about limitations on evictions. Some allow no-cause evictions, and others require "cause" for eviction. No-cause evictions means that whenever the landlord decides she doesn't want the tenant in her unit, she can evict him, without giving a reason. The only checks on eviction in no-cause states is the constitutional bar, preventing evictions for constitutionally suspect causes such as discrimination based on race, ethnic origin or any similar, protected status. States that require cause for eviction are not all alike, either. Each statute defines "cause" as the lawmakers see fit. Some permit eviction for any violation at all of the rent contract, like paying rent a day late or repainting the kitchen without permission. Others require a serious breach, such as subletting without permission or loud, drunken parties that disturb the neighbors. Some cities have rent control regulations. These are usually intended to protect tenants and limit evictions for failure to pay rent after receiving notice that the rent check is late, and other actions specified in the statutes. In rent-controlled areas, landlords need "just cause" to evict. They are not permitted to evict tenants just because they could get more rent from somebody else. In addition, the landlords are precluded from raising the rent each year more than an amount specified by the rent board. That means that a landlord cannot effectively evict a tenant without a court procedure simply by doubling the rent. To be legal, an eviction must proceed according to state laws and procedures. That means that evictions "work" differently depending on where you live and what the laws are. No-cause-eviction states have rules that are different from rent-control eviction jurisdictions. In the latter case, eviction laws are very complex and must be followed strictly for the landlord to avoid trouble. Generally, the first step in an eviction is for the landlord to study the state's eviction laws or hire an attorney who is familiar with the law. The landlord will need to know if he requires cause to evict and, if so, if he has proper cause. Assuming that no cause is needed or that the landlord has appropriate cause, the next step is notice. The landlord is obligated in most states to give the tenant written notice that he is ending the tenancy. How much notice is required? That depends on the state laws. In most states, for a month-to-month tenancy, the landlord must give a tenant at least 30-days notice. Sometimes the law requires 60-days notice. The notice usually has to state the exact day that the tenancy will end, and, in some states, this must be at the end of the period covered by the last rent check paid. In these states, if you pay rent on the first of the month, your landlord's eviction notice must specify that your eviction day is the first day of a subsequent month, at least 30 days from the date of the notice. He could, for example, give you notice on September 18, but the earliest tenancy termination date he could name would be November 1. In no-cause-eviction states, all the landlord has to do is give appropriate notice. In cause-eviction states, the landlord must specify which of the rental contract or lease agreement provisions you have violated. The eviction procedure may be different depending on the cause. The obligation most often cited as violated in eviction notices is the duty to pay rent. If you fail to pay the rent, many states have a "pay rent or get out" notice. Under this type of notice, the landlord essentially puts you on notice that you failed to pay rent for the month, specifies the amount due, and gives you a set number of days to pay it. The time to pay is usually three or five days. If you pay the outstanding rent during that window of time, the eviction threat disappears. If you don't, you must move out, or "quit" the premises. 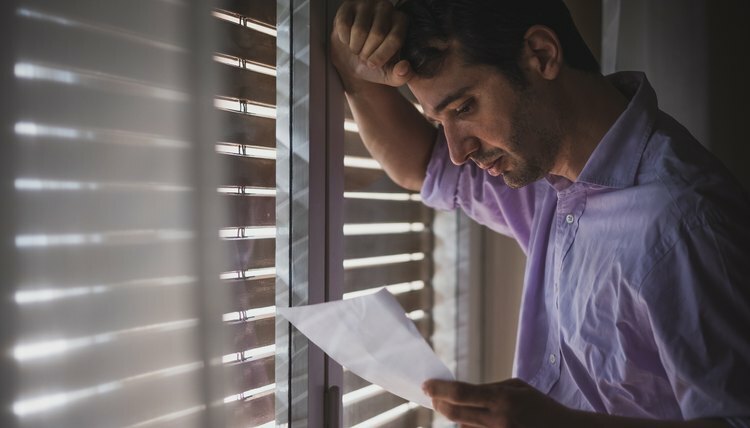 If you have violated a different, specific requirement or prohibition of the rent contract, the landlord may send you a type of notice called a "cure or quit" notice. These are exactly what the names suggest. They are written notice that you are violating a specific provision in the agreement and that you must "cure" the issue or get off of the premises. Again, the amount of time you are given varies from state to state. For example, if your lease specifies that you cannot have more than one roommate and you have two, the "cure" would be for you to get rid of one of the two roommates. Or if you get a "cure or quit" notice for playing loud music, you can "cure" it by turning down the music. The worst type of notice for a tenant is the kind called "unconditional quit" notices. You do not have three days, five days or any days to correct anything wrong you did. You are out. Because this is a very harsh type of notice, many states allow these notices only in specific situations. The situations when an unconditional quit notice is permitted can and often do include frequent late payments of rent, repeated lease violations, illegal activities on the premises and doing serious damage to the property. In rent-controlled jurisdictions, a landlord must give notice of one of the reasons for termination of the tenancy that the law recognizes as valid. He must also be able to prove this reason. Under these statutes, all evictions must be "just cause" evictions as defined by the regulations. Can a Landlord Cancel an Eviction? Since it is the landlord who starts an eviction, the landlord can always cancel the eviction. She can withdraw the eviction notice, withdraw the wrongful detainer complaint and even cancel the eviction after the court has ruled in her favor on unlawful detainer. Can an Eviction Judgment Be Reversed? In many states, you can appeal a judgment of unlawful detainer. This means that you present papers to a higher court arguing that the lower court's decision was wrong. If you are successful, the judgment will be reversed. How to Stop Eviction After a Court Order? Can you still stop an eviction after a court order? Sometimes. Some states allow you to appeal a judgment of unlawful detainer, asking a higher court to review it. If you think the first court made an erroneous legal decision, this might be the way to go. You can also try to settle with the landlord at this point, bargain for a few more weeks on a promise that you will move out and leave the place in good order, or offer to pay your back rent plus late fees if she allows you to stay. If you get an eviction notice, you have three choices: you can comply with the request in the notice, like turning down the music or paying back rent, within the legal time frame. If you do this, you will completely avoid the stain of an eviction on your record, since the eviction will proceed only if you don't do the act requested. The second choice is simply to move out on the date set. Under this scenario, you may also avoid having an eviction on your record since the landlord has asked you to leave and you have agreed to do so. Yes, you received a notice, but the landlord hasn't filed any papers with the court. The third choice you have is to do neither of the above. Don't meet the landlord's condition, and don't move out. You can be quite certain at that point that the landlord will file a lawsuit to remove you from the property. In many states, the legal procedure is not called a suit for eviction but an action for unlawful detainer. That is, it charges that you are staying in the property wrongfully. If the landlord proceeds with an unlawful detainer, the only ways to avoid having an eviction on your record is to either settle the case out of court or win the case. If you decide to stay and get sued, you will be served with the wrongful unlawful detainer complaint when the landlord files it. You will have to appear in court and present some type of defense. You can argue that the violations charged by the landlord are erroneous or that they are already fixed, so that eviction isn't warranted. You can claim that the landlord didn't follow the state or local procedures and so the eviction is flawed. Or, you can assert that the landlord is retaliating against you for standing up for your rights. You can also excuse not paying rent by showing that you told the landlord about important repairs needed on the property (e.g., your heater doesn't work) but he has refused to fix it, and you then used the rent money to do so. Spengler, Teo. "How to Cancel an Eviction Process." , https://legalbeagle.com/5393812-cancel-eviction-process.html. 10 October 2018.